Senator John McCain (R-AZ) passed away at the age of 81 on August 25th, after a long struggle with a malignant brain tumor which had been treated since 2017. McCain had a long career both in military and politics, which spanned nearly forty years. McCain came from a line of military men, both his father and grandfather being four-star admirals, and the young McCain himself served as a naval aviator during the Vietnam War, during which he was shot down over the city of Hanoi in 1967. McCain, seriously injured, was then a prisoner of war for over five years until 1973. Notably, despite the serious conditions and the torture he endured, he refused a preferential release which would have allowed him to return home earlier than his fellow prisoners due to his status as an admiral’s son. McCain was, however, left permanently disabled by his injuries. McCain’s political career began a decade later in 1983, serving two terms in the House of Representatives followed by six terms in the Senate, both times serving for Arizona. Though originally a hardline Reagan supporter, McCain’s later career was dominated by his positions which often contravened the party line. In time, he earned the nickname of “Maverick” for this and his willingness to work with Democrats, in a rare show of bipartisanship. He and Democratic Senator John Kerry, both Vietnam veterans, also pioneered a normalization of relations with Vietnam. Senator McCain twice made a presidential bid. The first was in 2000 when he ran in the Republican Primary but was defeated by his opponent, George W. Bush. 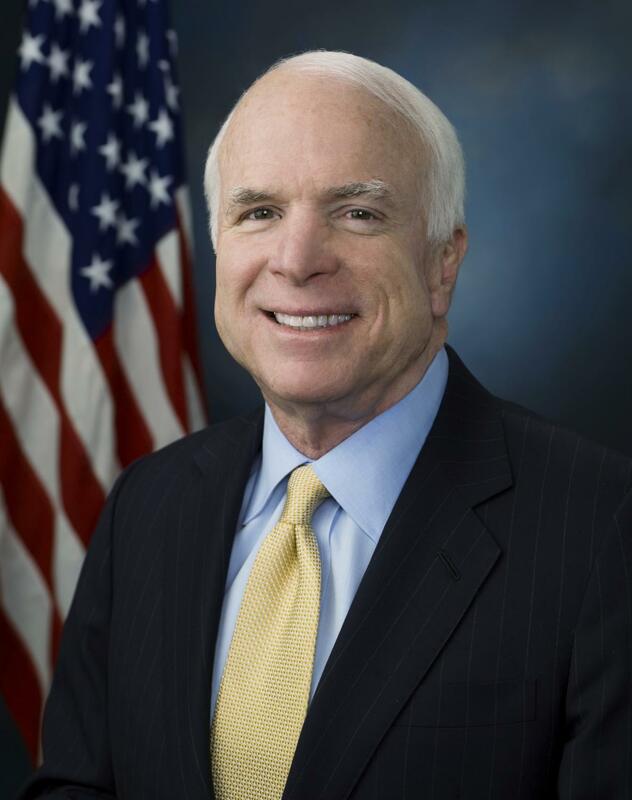 A second time, in the 2008 presidential election, McCain lost to then-Senator Barack Obama. Undaunted, McCain returned to the Senate and remained an important political figure throughout Obama’s administration. It is a testament to his character, then, that both Bush and Obama were invited to speak at his funeral. In the last two years, McCain has become a major voice in the Republican opposition to President Trump. The Senator who was already well known for his on-and-off relationship with his party’s establishment seemed to be a natural fit for a figurehead of the anti-Trump wing of the Republican Party. The vitriolic back-and-forth began when Trump claimed he “liked people who weren’t captured.” This culminated when McCain returned from his battle with brain cancer to block an attempt to repeal the Affordable Care Act in a dramatic thumbs-down deciding vote. Regardless of his positions and occasional feuds with his fellows, John McCain was undoubtedly one of the most influential politicians of the last fifty years, the likes of whom are not commonly seen.